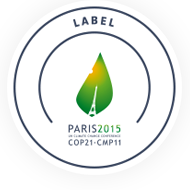 Photo by Team North House Inc.
Pour exprimer leur solidarité avec la COP21, la rare Charitable Research Reserve, le Divest Waterloo, CREW, et le BRIDGE sont heureux de présenter "Inspired by Change: The People's Climate Art", un projet artistique et de films. Rejoignez nous pour cette exposition et les projections du 3 novembre au 8 décembre. While world leaders meet in Paris for the most important United Nations Climate Conference in a generation, people around the world will hold their collective breath, hoping for an agreement that will give us a fighting chance at beating climate change. To express solidarity with this process, ArtCOP21 is an international series of art installations that will make space for people to express themselves: their fear, loss, grief—and hope. In the Kitchener-Waterloo-Cambridge region, you are invited to join in with four events. Attend a film screening of "Beyond Crisis" and/or "Haida Gwaii: On the Edge of the World"; join the celebration of ArtCOP21 at BRIDGE; and/or attend the exhibition "Inspired by Change: The People's Climate Art" - you are also invited to submit your works of visual art, whether two-dimensional or three-dimensional, for “Inspired by Change: The People’s Climate Art,” an exhibition to be held from November 30 to December 8 at the BRIDGE Centre for Architecture and Design, 37 Main Street, Cambridge. Fossil fuel divestment is one spoke in the wheel of climate action. Worldwide, the divestment movement is gathering momentum as it raises awareness about the damage caused by fossil fuels, and the political and social power wielded by fossil fuel companies. Divesting from fossil fuels sends a message that the world is ready to shift to an economy powered by renewable energy. As a proudly progressive region, with an economy based in technological solutions, Waterloo can be a leader in sending this message to other Canadian municipalities and businesses. Divest Waterloo encourages local governments, universities, colleges, institutions, pension plans, businesses and individuals to shift our collective investments away from fossil fuels and to reinvest in sustainable investments. Divestment: it’s one vital move in the urgently needed transition to a low-carbon economy. The rare Charitable Research Reserve is a 900+ acre land trust in Cambridge that protects the land through conservation, research and education and works hard to engage the community with environment and train the next generation of conservationists. The film will be screened at rare's North House, a self-sustainable green housing model that creates more energy than is consumes through passive and active solar energy. 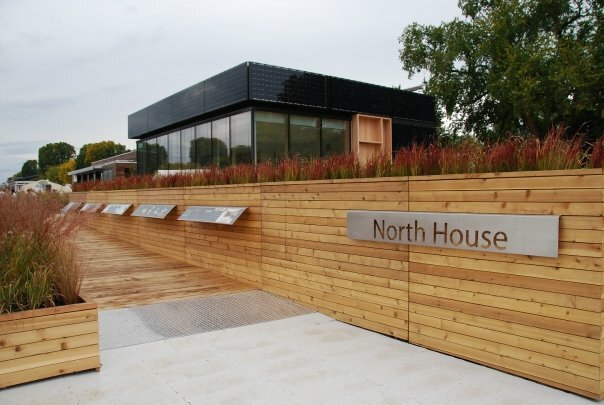 North House is a research and education site, showcasing advance environmental technology and educating the community about the benefits of sustainable, compact living. Community Renewable Energy Waterloo is a local non-profit organization dedicated to making renewable energy accessible to the citizens of Waterloo Region. CREW is a network of knowledgeable advocates, early adopters and interested citizens who initiate, resource and support all local projects that encourage energy conservation and sustainable use of energy or materials from naturally regenerating sources, such as wind, solar and earth energy. Beyond Crisis is a Toronto PCM production a collaboration of filmmakers working hard to bring you the story of what is takes to move crisis to opportunity.